It is probably apt, to save myself from being shunned by society like Hester Prynne, to point out that the subject of this particular blog post was inspired a conversation I once had with a friend. I am not having an afair, nor am I planning to have one at this juncture – albeit, if I was, it would hardly be declared on the world wide web. Anyhow, I digress. My friend and I were at the Eric Roberson concert at the Indig-o2, and as much as I adore Eric Roberson and as much as I loved the concert, I was slightly disappointed by the fact that he didn’t perform my favourite song off his Music Fan First album, titled A Tale of Two. The song is about cheating, which got my friend and I talking on the topic of songs concerned about being unfaithful. ‘Have you noticed that the best songs are about cheating?’ I asked her. Well, have you noticed? My partner and I came home from a night at McQueen last Saturday, both falling asleep in the taxi home. We got in and switched on the TV to our delight to find Adrian Lyne‘s Unfaithful on. Regardless of how many times we have both seen the film and regardless of how tired we both were, Unfaithful kept us up, watching the entire film and then discussing it after it had finished. The world cannot deny it, we Adore a Love Story just as much as we Lust after a tale debauchery and affairs. There is something unmistakably fantastic and brave, but mostly, disturbingly interesting about those who have no qualms with honouring their carnal desires. Particularly when it causes one to throw all caution to the wind and compromise the ‘harmonious unity’ they have created with a significant other, to enter a world which is often unstable, turbulent and created off the back of hurt and betrayal. Films, novels and songs concerned with lust and infedility are interesting because, as though by natural reflex, they instantaneously engage us and they instantly force us on this trail of thought, which probably resembles something like this… ‘What a terrible woman’ ‘Men are all dogs’ ‘See, that’s why you can’t trust anybody’ ‘If so and so ever did that to me they wouldn’t live to tell the tale’ ‘How can they live with themselves’ ‘That’s so hot’ ‘Good for HER, HE deserved it’ ‘What would I do in that situation?’ ‘Could I ever do that?’ ‘I wish I was brave enough to do that’ ‘It’s not worth the risk’. Some may argue that art forms that cash in on such cheap emotion are indeed cheap. It doesn’t cost much to move someone when concerning matters of the heart, so indeed, it is all about the artistry that surrounds it. I have to start with Stanley Kubrick’s Eyes Wide Shut 1999, starring Tom Cruise and Nicole Kidman. I could go on forever about this film…but that’s for another post. Tom Cruise plays New York city doctor Bill Harford married to Nicole Kidman who plays Alice Harford. Jealousy causes Alice to reveal to her husband that she was once on the verge of being unfaithful. This fuels Bill to traul the streets of New York to embark on his own sexual expedition, an expedition which includes an encounter with a prostitute and a quasi-religious sexual ceremony which involves cloaked and masked men having orgies with beautiful women in a mansion in a secret location. Fatal Attraction 1987: Directed by Adrian Lyne starring Michael Douglas and Glenn Close. Tag Line: On the other side of drinks, dinner and a one night stand, lies a terrifying love story. Michael Douglas plays happily married lawyer Dan Gallagher. However, Dan decides to embark on some extra curriculur activity with his colleague Alex Forrest, played by Glenn Close, while his wife and children are away for the weekend. It’s the one night stand from hell. Tag Line: If you had the opportunity, would you? Unfaithful 2002: Yet another adulterous film directed by Adrian Lyne, starring Richard Gere, Diane Lane and Olivier Martinez. This is a simple tale of a woman who has it all, a beautiful home, a family and a loving husband, but it just doesn’t seem to be enough. She begins an affair, but the guilt soon becomes too much for her to handle. Non ti Muovere – Don’t Move 2002: directed by Sergio Castellitto, starring Sergio Castellitto and Penelope Cruz. Non ti Muovere – Don’t Move 2002: directed by Sergio Castellitto, starring Sergio Castellitto and Penelope Cruz. This italian film sees the upper-crust doctor, Timoteo, played by Sergio Castellitto, replay the memories of his affair with a depleted and impoverished woman named Italia, played by Penelope Cruz, who falls pregnant for him. Vicky, Cristina Barcelona 2008: directed by Woody Allen, starring Scarelet Johansson, Penelope Crus, Javier Bardem and Rebecca Hall. Vicky, Cristina Barcelona 2008: directed by Woody Allen, starring Scarelet Johansson, Penelope Crus, Javier Bardem and Rebecca Hall. Cristina, played by Johansson and Vicky, played by Hall, both fall for Juan Antonio, played by Bardem. The only problem is, Vicky is engaged to be married. The girls spend a weekend spent with Juan Antonio, which leads Vicky and Juan Antonio sleeping together. While Vicky can’t get the memories of her time with Juan Antonio out of her mind, he begins a relationship with single and free spirited Cristina. Naturally Vicky never tells Cristina off their fling, nor of the jealousy that is grown inside of her since watching her friend with Juan. Cristina and Juan Antonio’s relationship takes unconvential shape when Juan’s ex-girlfriend, Cruz, enters the picture. Match Point 2005: Directed by Woody Allen, starring Scarlet Johansson, Jonathan Rhys Meyers and Emily Morimer. Lemmings 2005: Directed by Dominik Moll, starring Charlotte Gainsbourg, Charlotte Rampling and Laurent Lucas. 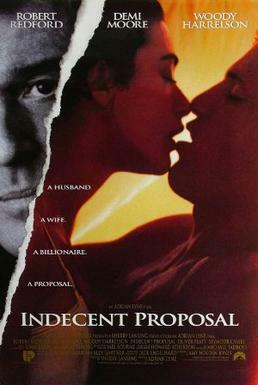 Indecent Proposal 1993: Directed by Adrian Lyne (starting to see a pattern?) 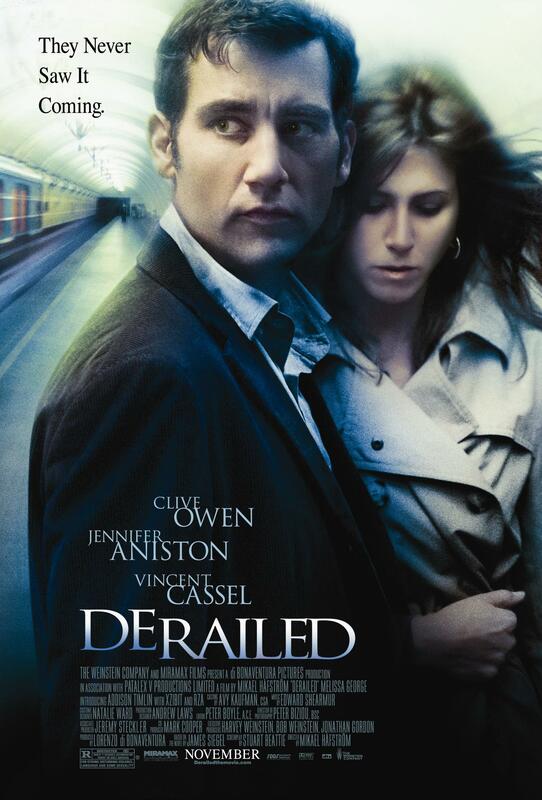 starring Woody Harrelson, Demi Moore and Robert Redford.